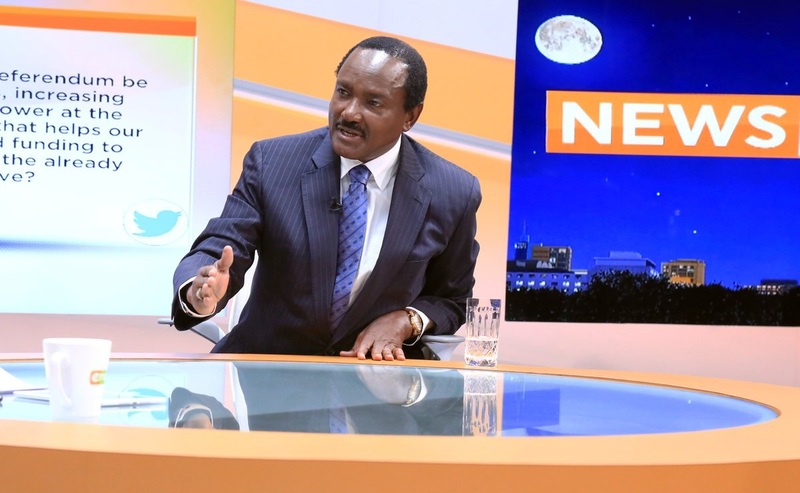 Wednesday February 13, 2019 - Barely a week after proposing to change the Constitution to give President Uhuru Kenyatta another term in the office after 2022, Wiper Party leader, Kalonzo Musyoka, has changed tune. Speaking on Sunday, Kalonzo dismissed reports claiming that he proposed an extension of President Uhuru Kenyatta's term in office. He rubbished the reports saying he was misquoted by the media and that some unnamed people were trying to distort what he said. Kalonzo clarified that he did not call for Uhuru's term in office to be extended when he said he had forgiven the President. "I made it very plain watu wengine wakaanza kuniharibia musimamo wangu (I stated it very clearly but some people then started misquoting me)." "When I said I have forgiven my brother Uhuru, I meant it, but I did not say the President be given a third term," he said.